Infinix Hot S3: Should you buy it? 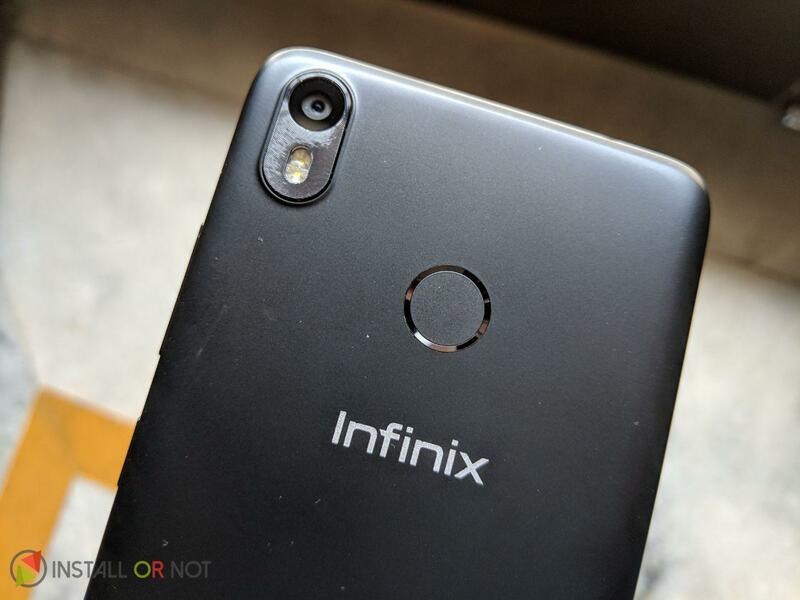 Home Reviews Phones Infinix Hot S3: Should you buy it? Hong-Kong based smartphone manufacturer Infinix launched its first smartphone last year. This year, Infinix launched its new affordable smartphone Infinix Hot S3 at an attractive price tag of INR 8999. The smartphone offers attractive features like a 20-MP front camera with dual LED flash and a Full View 18:9 display screen. 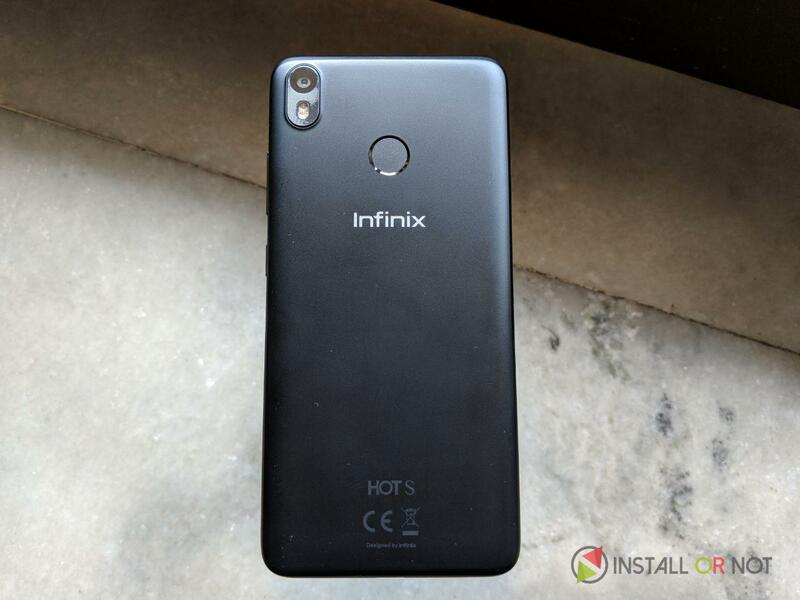 We had used the Infinix Hot S3 for better half of last month and here we present you our thoughts about the device and is it worth your money? Infinix Hot S3 has a metal-like finish with a unibody design. The volume rocker keys and the power button is placed on the right side of the edge while the SIM card and SD card slot is stapled on the left. 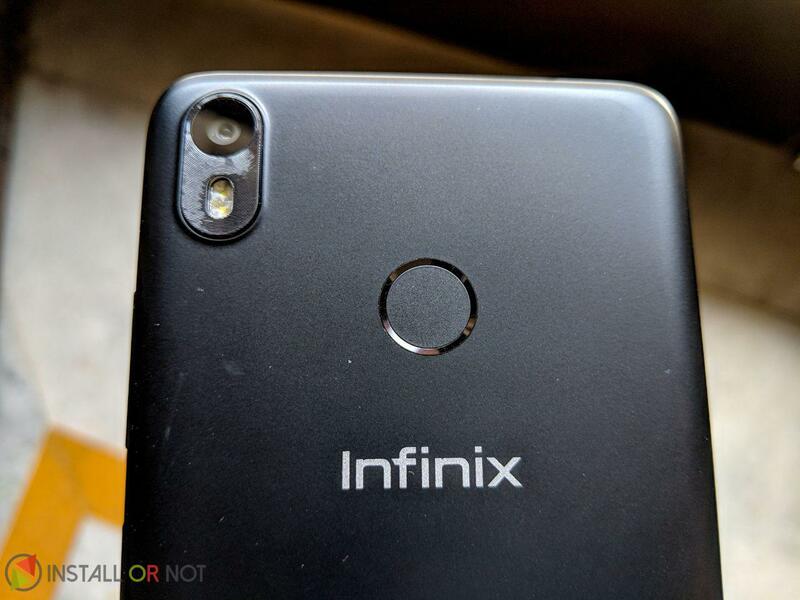 The rear panel has a camera and LED flash on the top right, a fingerprint sensor at middle and Infinix Logo at the center. Front panel features a camera and other sensors at the top and on-screen buttons at the bottom of the display. Speaker grill and microUSB port are present on the bottom and the 3.5mm audio jack is present on the top. The Hot S3 features a 5.65-inch 2.5D curved glass display with a resolution of 1440 by 720 pixels and a pixel density of about 285 PPI. It offers a 18:9 aspect ratio and a screen-to-body ratio of 81 %. With a big and colorful display size, this device it is good for multimedia viewing. However, the screen is a bit dull because of low sharpness. The Night Light and Ambient Display option give better use. It measures 153 x 72.85 x 8.4 mm and weighs 150 grams which makes it bit heavy to use. Overall the design is simple but the build is sturdy. Infinix Hot S3 is powered by an Octa-Core Snapdragon 430 chipset with four ARM Cortex A53 cores clocked at 1.2 GHz per core and other four at 1.5GHz per core. The Snapdragon processor is supported by Adreno 505 for GPU. There’s a 3GB or 4GB of RAM depending on the model but we got the 3GB RAM variant. It also has 32GB of onboard storage out of which we got 23GB of free space. It is a dual-SIM smartphone which supports 4G VoLTE. Both the SIMs support 4G, but you can enable 4G only in one SIM at a time, while the other switches to 3G. It also has other connectivity options like Wi-Fi 802.11 b/g/n, Bluetooth 4.2, GPS and USB OTG. The device is backed by 4000mAh of battery. 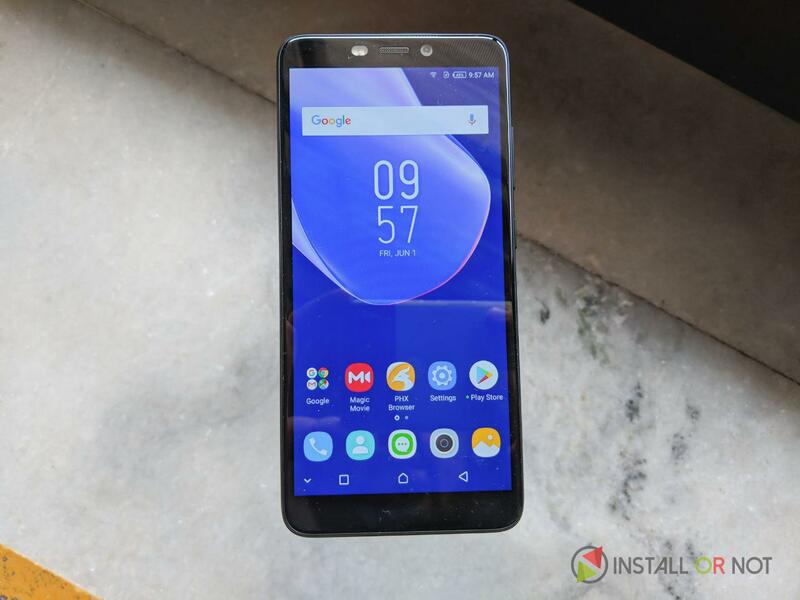 Infinix Hot S3 runs on Android 8.0 (Oreo) with custom XOS Hummingbird V3.0 UI on top. The UI has a customizable quick settings toggle, custom home screen that lets you adjust icon size, desktop grid and more. The XOS UI name may be different but it almost resembles to all other Chinese UI. 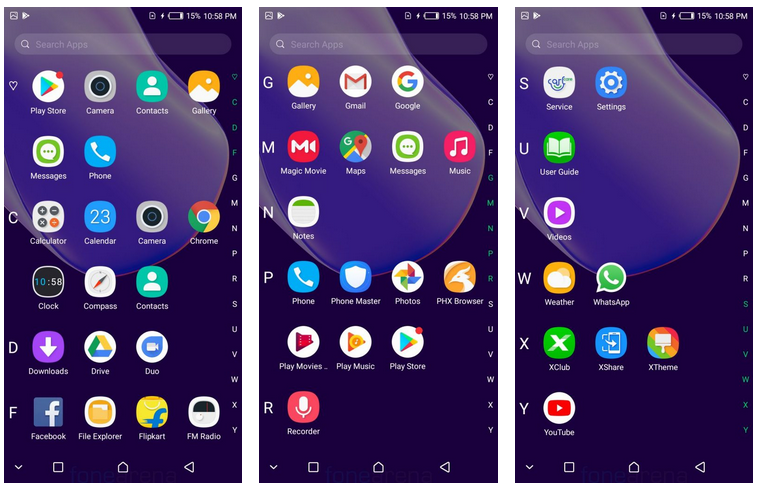 Apart from the utility apps and Google apps, it has few bloatwares like Flipkart, Facebook, PHX Browser, Calcare Service app for device support, XClub, XShare and XTheme apps. With Snapdragon 430 SoC, 3GB RAM and Android 8.0 it runs pretty smoothly. The multitasking ability is good and we didn’t find any type of lag in our usage. The gaming performance of Infinix Hot S3 with Adreno 505 GPU is great although there was a bit lag in high-end games gameplay. The benchmark performance was also quite good. The fingerprint sensor works very well and unlocks the smartphone quickly. The 4000mAh of battery offers a full day battery backup with heavy usage. It doesn’t have fast charging and it took almost 2 hours to fully charge the device. The audio and video playback is average as the sharpness in display was missing. Infinix Hot S3 is equipped with a 12-megapixel rear camera with f/2.0 aperture and dual LED Flash. The rear camera captures decent images with good color compositions. The daylight images with HDR and Focus were great however it struggles with the low light conditions. The front panel sports a 20-megapixel camera with dual LED flash and f/2.0 aperture. The selfie camera captures well-cloured images. It has decent in-depth details too. It also offers a Portrait Mode which blurs the background. The camera UI is simple and easy to use. It also offers several modes such as Panorama, Night, Timelapse and professional to adjust metering, exposure, shutter speed, ISO, white balance, and focus. It offers maximum video recording of 1080p at 30fps. The video quality is good it has very less distortions. The Infinix Hot S3 is definitely modern and has a processor and memory combination that is totally apt for this price segment. It’s rear camera is not great but it is definitely not bad for the price that you pay. At INR 8999 the Hot S3 competes directly with the Redmi Y1 and Oppo Realme Real 1. And on compairing, the Infinix Hot S3 has an edge over the Redmi Y1 when it comes to selfie camera, battery life, full-screen display and Android version. Overall the device is good at this price point but with newer devices such as Realme Real 1, its really hard to compete. Next articleMicrosoft announced to acquire Github. What does this means for us?